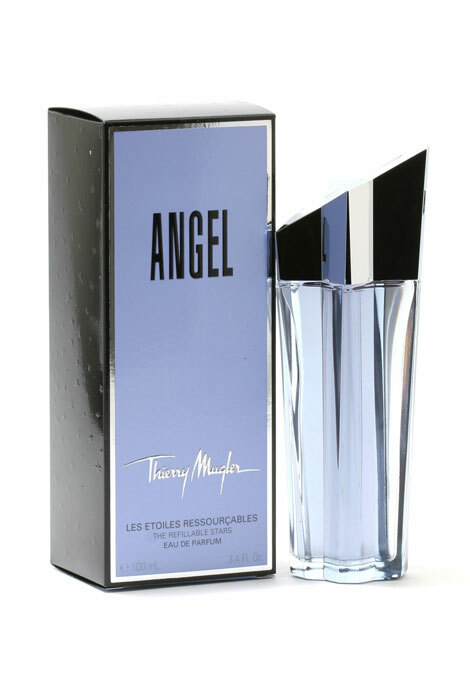 Both vibrant and intoxicating, Thierry Mugler Angel is truly sent from above. Blends of chocolate, vanilla and sandalwood make this a gorgeous women's perfume wearable for all occasions. Women's fragrance features top notes of chocolate and citrus, middle notes of melon, peach and plum and base notes of vanilla, sandalwood and musk. 3.4 fl. oz. An EDP spray. No express shipping. No shipping to PO boxes.